The biggest power which every Indian citizen has is the power of voting. With it, they can choose their favorite representatives to run the government. Voting is certainly a medium of expression for the people in the country. But, for giving the vote, you must have the voter id card. It is also used as an identity proof. 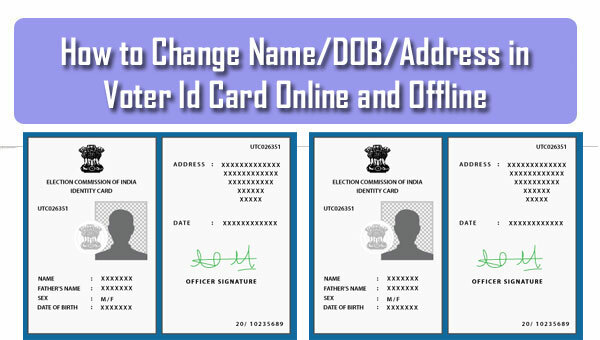 In Gujarat, the application for the voter id can be done in both online and offline processes in Ahmedabad, Rajkot, Surat, Vadodara, Gandhinagar (Gujarat). The details are mentioned below. The complete process is very less time consuming and kept very simple by the government of Gujarat. For the application, visit the website http://www.nvsp.in/. A new form will open on your screen. You can visit the form directly by clicking on the link. http://www.nvsp.in/Forms/Forms/form6. Enter all the details correctly like name, address, date of birth, mobile number, etc. You have to upload the scanned copies of all required documents. When all done, submit the form. You will found an acknowledgment slip on your screen containing the acknowledgment number. Download and take a print out of it on A4 sized paper. You can track the status of the application by visiting the link http://www.nvsp.in/Forms/Forms/trackstatus and entering the acknowledgment number. Your form will be verified and if all found correct, the voter id card will be issued and will be sent to your registered address. You have to get the form 6 from the electoral office. Fill it up with accurate information and attach all required documents with it and then submit the form to the electoral office. You will be given an acknowledgment slip. You can use the acknowledgment number later to track down the status of your application. The voter id card will be sent to your registered address when all the verification is done. Identity proof like passport, birth certificate, PAN card, driving license, high school mark sheet, etc. Address proof like driving license, passport, electricity bill, telephone bill, etc. If you have any question or any advice, please feel free to express your thoughts in the comments section below.